Dinosaurs roamed the Earth during the Mesozoic Era. This era started about 245 million years ago, this era divided into three parts, the Triassic, Jurassic and Cretaceous era. During the Mesozoic era, there are so many flying dinosaurs that existed. 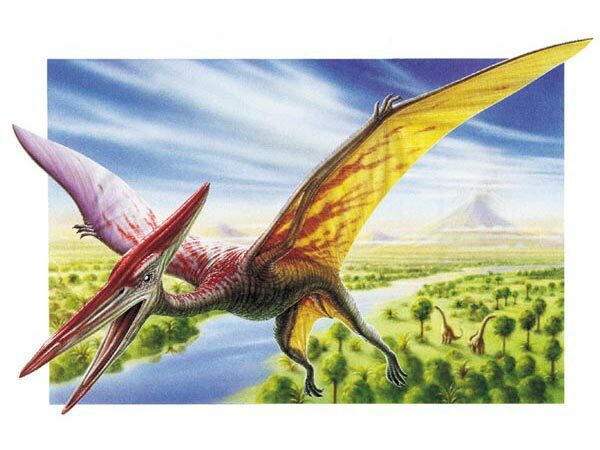 Pterodactylus, Quetzalcoatlus, Rhamphorhynchus and Dimorphodon are four of the flying reptiles. Before I explain, please remember that there’s no dinosaurs are flying. The flying creature is only reptile. First, dinosaurs that fly, is Pterodactylus. The Pterodactylus lived during the Jurassic period. 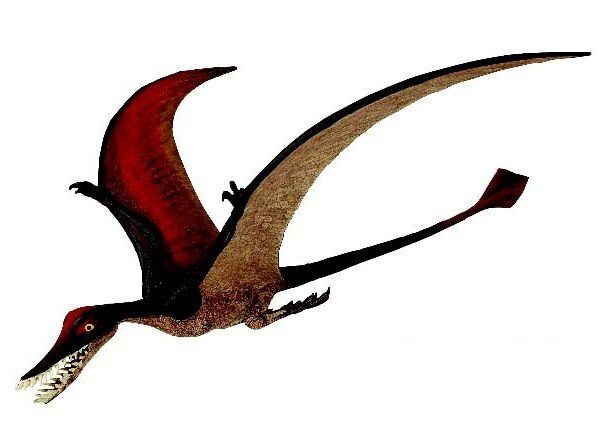 This flying reptile’s fossils were found mostly in Europe, like England, France and Germany. 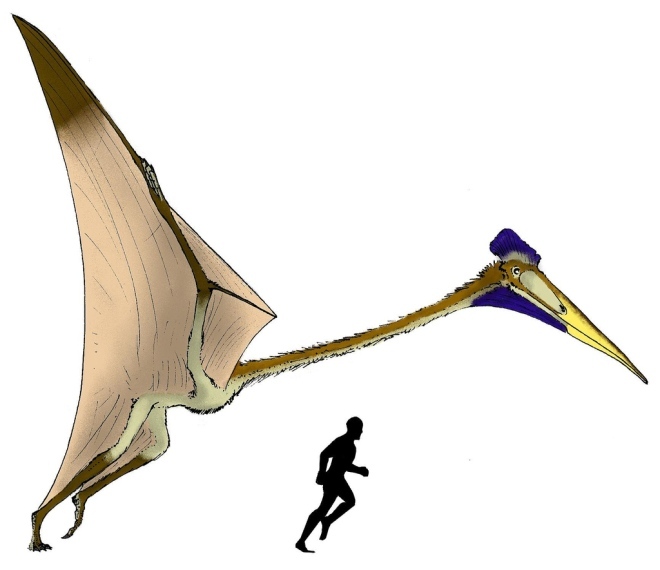 Pterodactylus had a wide wingspan, it was about 20-30 inches and their wings were covered by a strong membrane. With that wingspan, Pterodactylus are able to fly for long distances. Most scientists believe that Pterodactylus lived near the river and ate fish. One of the biggest reptile that fly, Quetzalcoatlus lived in the North America during the Cretaceous period. This reptile had a 36-foot wingspan with a long, and crested head. The Quetzalcoatlus was 150kg or about 300 pounds in weight. Just like Pterodactylus, Quetzalcoatlus wingspan was designed to fly long distance. Quetzalcoatlus lived near the river and hunted for fish. Dimorphodon lived during the Jurassic period. 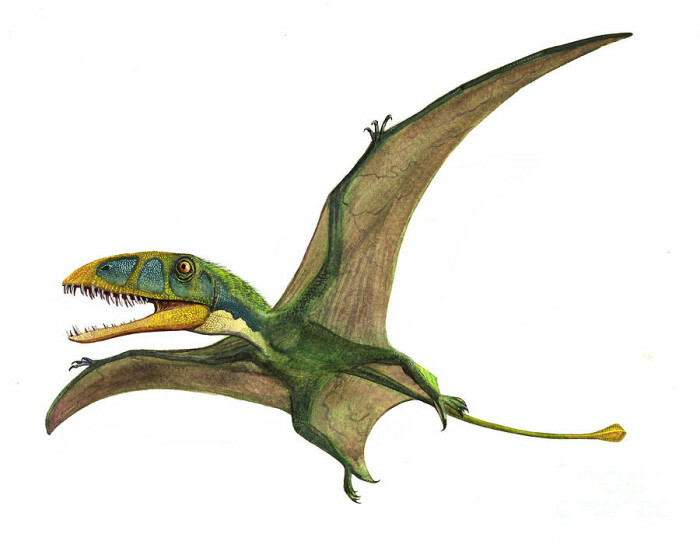 Unlike another flying reptiles, the Dimorphodon had two different types of teeth. Its fossils was found in Europe. This reptile was about 3.3 feet long with 4-feet wingspan. Rhamphorhynchus lived during the Jurassic period with 3 feet wingspan. This reptile had short legs, long and stiff tail, narrow jaws and sharp teeth. The wings are covered with membrane. This reptile also lived near the river and ate fish. Fossils of Rhamphorhynchus were found in many countries like England, Tanzania and Germany. Those are some list of dinosaurs that fly. Knowing the facts and information about those dinosaurs will help you to explore more about dinosaurs, how interesting it is and help you gain more info about them.